Book the Tap Room for your next event! Growlers & Crowlers - Oh my! As a brewpub, we want to get your hands on our freshly-brewed beer as easily as possible. For those times you want to take a piece of the brewery home or simply want to share Minneapolis with your family & friends who live out of state - our dining room cooler is stocked and ready. 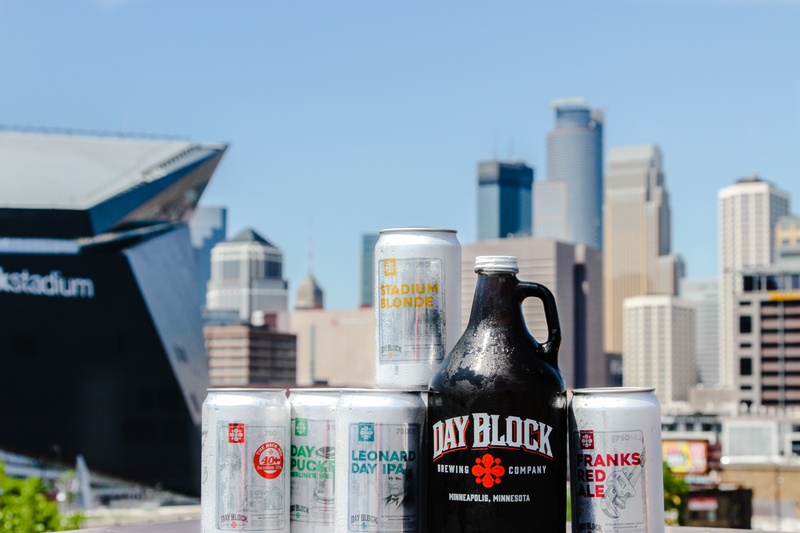 Growler and crowler sales happen daily at Day Block Brewing & typically feature options of what's on tap. Due to the Minnesota state law, the sale of growlers may only take place until 10PM and must be off-premise at this time as well. 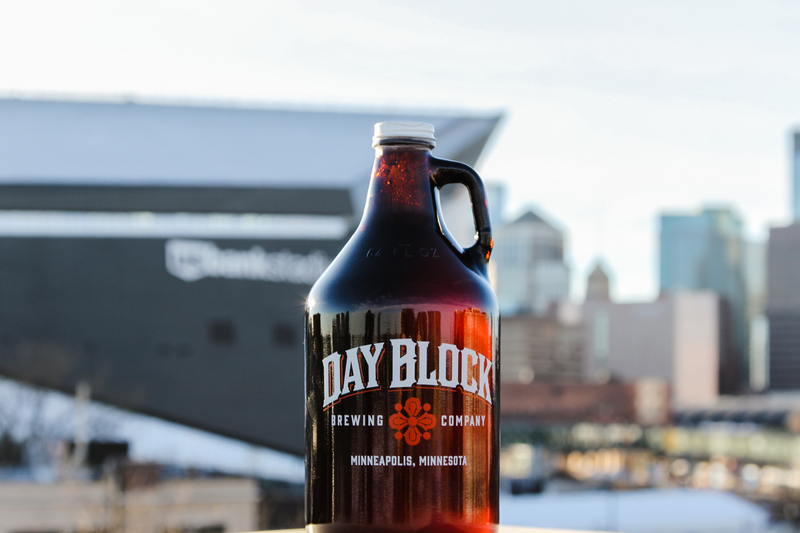 The Day Block Brewing Company growlers are 64-oz. The deposit on the bottle is $5 with a fill typically around $15 - depending on the type of the beer. We can fill our growlers you already have or other breweries growlers but they must be clean. We always suggest grabbing one from the fridge for the fastest service possible during peak times. We use the Pegas CrafTap filler. It's an advanced device used for filling our growlers in order to keep our beer fresher for much longer. When you crack your growler at home, we want the beer to taste just as fresh as it would be sitting at our bar. This device also helps our brewery decrease the amount of waste per keg when filling up the growlers. Cheers to that! It's the start of the week and we believe you'll need fuel to get to the end. Select any growler from the fridge and automatically get $3-Off Every Tuesday. We also advise staying for Happy Hour to get some food fuel for that long week ahead. After you have finished enjoying your beer, rinse the growler with warm water and then let air dry. Don't put the cap back on - just throw it away. In Minnesota, a new cap is required for all previously used, detached cap style growlers. No need to worry about glass breaking when packing up the car because crowlers are here to save the day. Our 750ml (25.3oz) can is perfect for on the go, far away trips & takes up less room to store in the fridge. These little guys come in handy. Especially when you don't want to commit to just one style of beer or have two different taste buds to satisfy at home. We take necessary precautions, such as adding CO2 to ensure your can stays fresher, longer.